cut up scatter beats. ghost singing. poly-melody in sections. break beat electro-psych. chill out travel narrative. noises, samples to the stratosphere. wave smears and cinema ambiance. electronic kosmische ethics. hints of songs. fragments and spoken words. mellow guitar process outro. pablo javier piacente: voice, loops and electronic beats, synth bass, virtual synthesizers, recording environment, sound manipulation, voice synthesizer, keyboards. mauro de angelis: loops and electronic beats, synth bass, virtual synthesizers, multimedia recordings, sound manipulation, electric guitar. 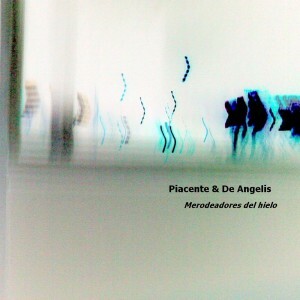 tracks 2, 4, 6 and 7 – by mauro de angelis; tracks 1, 3 and 5 – by pablo javier piacente; text ballads for an exoplanet (included as a voice synthesizer recited in parts of pieces 2 and 6) by mauro de angelis; poetry (in pieces 1, 3 and 5) by pablo javier piacente. tracks 1, 2, and 3 appear in their original forms on the album la hora de color violeta. track 6 appears in its original form on the album baladas para un exoplaneta.